It’s All About the Base! Since last weeks’ post was such a big hit, I decided to start at the basics of your make up routine. This week, we’re talking about skin care! If you are looking for a perfectly polished look for your portraits, this Bellefonte Senior Photographer recommends checking into your skin care products before you look at what make up you are using. Good skin care starts with a few simple and very basic steps. Moisturize your skin twice a day. Always use sunscreen to protect your skin from the harmful UV rays. Beyond those basics, it all depends on what you are trying to “fix” with your skin. Let’s get personal – I’m 42 years old. Although I have combination/oily skin, my skin is COMPLETELY different from my 3 teenagers skin . . . and also completely different from my mother’s skin. I would never recommend using the same skin care product for everyone in my family. Luckily, as a Mary Kay Consultant, I not only have access to the #1 selling brand of skin care, I also have access to multiple different types of skin care to cover all my family’s needs. 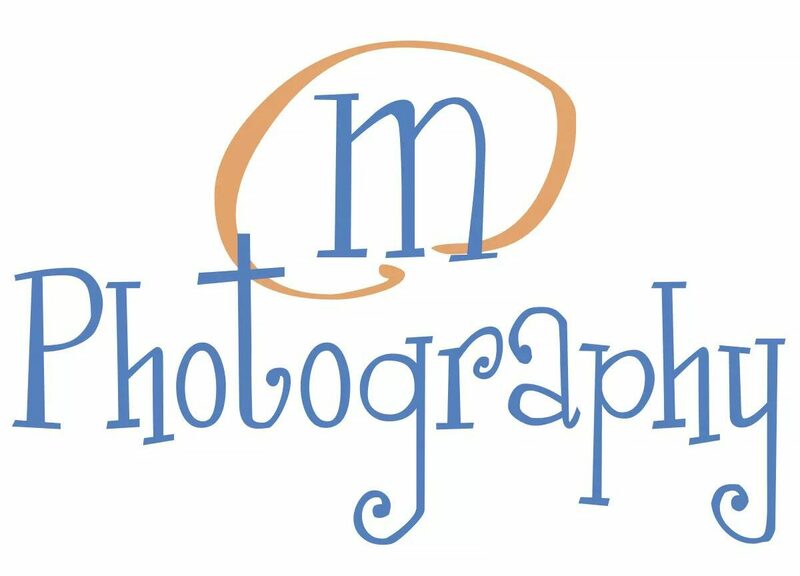 As a photographer, I don’t want to come off like I’m trying to sell you something – even though I do sell Mary Kay Cosmetics. I just want to you know what all is available, and how much I love the products that I (and my family) use. If you already have a Mary Kay Consultant, always talk to her first before switching to another consultant. She has all the same information available to her, that I am sharing with you – minus my personal opinions. With that being said, here is the different skin care sets that are available through Mary Kay Cosmetics. I personally use the TimeWise Miracle Set, while my teenagers use the Clear Proof Acne System. The TimeWise Repair Volu-Firm Set would be for people with more defined lines and wrinkles that they want to repair (hence the name). The Botanical Effects line would be for people with more sensitive skin, and of course the MK Men Set is for all the men in our lives. Once you have all your basic skin care covered, there are plenty of other targeted options that you can add to your routine. Eye Creams, Tone Correcting Serum, Microdermabrasion, etc. Talk to your Mary Kay Consultant about what is best for you. If you don’t have a Mary Kay Consultant already, please feel free to contact me. I’d be happy to help you find what you are looking for. Now that you have your skin care taken care of . . . let’s move onto the base of your make up. It’s one of my absolute favorite products and one that I cannot go without ~ even if I’m running late and doing my make up as simple and basic as possible. I always, Always, ALWAYS start my make up routine with a foundation primer! I LOVE that this came up as a HUGE photos. hahaha! It deserves it! This stuff is the bomb! It feels like silk going on your face, and the job it does is just as wonderful. The whole purpose of this amazing little secret is to fill in all the tiny lines, cracks, wrinkles, and pores so that when you apply your foundation it goes on perfectly smooth. BOOM! The fact that there is an added little bonus of sunscreen is just the icing on this huge slice of cake! As a double bonus, wearing a primer under your foundation extends the wear of your foundation! Now ~ on to your foundation. If you have a Mary Kay Consultant, you probably already know what shade your foundation should be. If not, it can be hard to determine which shade is best for your skin color. If you click on the link above, you will find helpful little tips to choosing the right shade for you. Whatever shade you choose, it needs to blend in to your neck and chest for a flawless look. I remember going to school with girls (myself included) that had a much darker foundation than they needed, creating a line around the jaw. We wanted to look tan in the middle of winter, or we were using our mother’s foundation because we didn’t want to pay for our own. Whatever the reason was or still is – Trust me . . . that is not a good look for anyone – at anytime – but especially not for your portraits! Mary Kay has several different types of foundation to choose from. From Oily skin to Dry skin, from Matte Finish to Luminous Finish, CC Cream, Mineral Powder, and Cream-to-Powder. Whatever your foundations needs are, we’ve got you covered with a Medium Coverage or a Full Coverage foundation. If you are still having trouble finding the right shade for you . . . a second set of eyes is always helpful. Sometimes we only see the flaws, where others see the whole look. Here’s another little side note to keep in mind. If the product you are applying is clear (lotions, primers, etc.) it can be applied with your fingers. If the product has pigment (foundation, concealer, etc.) it should be applied with the proper brush. The oils from your skin can change the integrity of the pigmented products. With that little tidbit in mind – when you are applying your foundation remember, less is more. If you are trying to cover fine lines and wrinkles, don’t pile on the foundation. It will actually draw more attention to the areas that you are trying to conceal. Instead lightly apply your foundation with a brush and then use a buffer brush to soften the look of fine lines. I do this especially around my eyes and nose to cover larger pores and fine lines that I have from always smiling and laughing. 🙂 To further soften those areas, I tap on some loose powder or Mary Kay’s Mineral Powder foundation, then swirl it out to smooth everything. Moving on ~ You’ll hear lots of people say that you should apply your concealer before your foundation. Let me just say this: I had the privilege of learning from International Make Up Artist, Lori Hogg at one of our Mary Kay Trainings in June of 2016. She taught us that if your foundation covers it, why add concealer to it? “Only conceal what the foundation doesn’t cover.” It made total sense to me, so I’m passing it on to you! With that in mind, and with your foundation in place there are only a few steps left to getting a flawless look for your portraits. Of course you’ll need your blush, contouring, and lips (which may just end up being next weeks blog post) but another absolute favorite product of mine that Mary Kay offers is the Makeup Finishing Spray. If you need more tips on getting a flawless face for your portraits, please feel free to contact me. I offer all my High School Senior Girls a free Mary Kay Facial and Glamour Session prior to their Senior Portrait Session. As a little added bonus, all my High School Seniors get a Clear Proof Travel Set as a special gift from me. Keep this in mind: Photoshop is a wonderful tool that photographers use to make your photos look flawless, BUT wouldn’t you rather look flawless all the time instead of just in your photos? If you like what I’ve shared be sure to share it out to your friends and don’t forget to follow me! I have more Make Up Tips coming your way next week! It’s All About the Eyes! Make up is a key part to making your Senior Portraits look amazing. If done properly, make up will accentuate your natural features causing them to stand out in your photos. If done poorly . . . it becomes a distraction. Which is why I always recommend a natural look for your Senior Portraits. Trendy looks come and go so quickly but a beautiful natural look will stand the test of time. Today’s blog is all about the eyes! There are SO many different looks from the simple Smokey Eye that can be played up for a bold evening look to the dramatic Cat Eye look. All of which are beautiful, but which is right for your Senior Portraits? As you may know, I am a Mary Kay Consultant, so I personally stick to the Mary Kay products because I LOVE them!! I’ll share a few of my favorites with you – but first, let’s start with a video for those that aren’t quite sure how to do a Smokey Eye look. If you took a moment to watch that video from start to finish, you’ll see that a Smokey Eye really isn’t difficult to achieve. I love that you can stop when you are 80% of the way through it for a soft simple look . . . or continue all the way through for a look that’s a little more bold. This is a wonderful look for photographs. It draws your attention to your eyes without being distracting. I also LOVE that she used neutral colors. This is one trick to making sure your portraits are something you will love forever! Trendy make up styles look great while they are trendy . . . but not so much once they are out of style. Stick with a classic look for your Senior Portraits and colors that compliment your natural coloring. Not sure what color eye-shadow looks best with your eye color . . . let me help! Check out the chart below. And this is how those colors look when they are on . . .
Now let’s talk eyeliner! What is the purpose of eyeliner, why should I use it, how do I use it, and what kind is best?? Eyeliner goes at the base of your eyelashes. This helps to define the shape of your eye, as well as make your eyelashes appear thicker . . . which is an added bonus! Remember that if you are going to wear eyeliner, there are rules to follow. Apply your eyeliner in small strokes. Connect one small line with the next small line until you have the whole eye lined. You can go back over the line to smooth it out with a smudger brush. Eyeliner goes on the top eyelash line OR both top and bottom. NEVER just the bottom lid. Why? It will add to the appearance of dark circles under your eyes. If you do choose to apply eyeliner to your bottom lash line, remember that it should only be 1/2 of what is applied to the top lash line. If you’re like me – a visual learner, you can click on this Link to check out a few videos to help you learn how to apply your eyeliner. The videos are located at the bottom of the page and there are 3 different looks available. There are different types of eyeliner available, and it’s really just a matter of choosing what you are comfortable with. Mary Kay has eyeliner pencils, gel, and a new liquid pen. I’ve used all of these, but the new liquid eyeliner pen is my favorite! How do you deal with dark circles under your eyes? I have them and I hate them as much as everyone else! I’ve heard they are from not getting enough sleep, genetics, or even because of my allergies. Who knows why I have them . . . and who cares! I just want to know HOW TO GET RID OF THEM!!! This is my secret! It’s Mary Kay’s Undereye Corrector . . . and I LOVE it!! Because the dark circles under your eyes have blue tones to them, you need to counteract those tones with a peach tone to balance out the skin color. This stuff also works as a highlighter too! Let’s move on to your lashes! I love a thick, long eyelash look . . . but not to the point where it looks like you have a tarantula crawling across you eye! Personally, I use black because I have a beige skin tone and dark hair. My daughter, on the other hand, is very fair and strawberry blonde. Black is to bold for her lashes. So she uses a black-brown mascara. Again, Mary Kay has lots of options to choose from. From volume to length, waterproof to full intensity. There is even a product available to help build up your lashes if you have very thin lashes. I personally use the Lash Intensity Mascara OR I use the Black Brown Ultimate Mascara and cover it with the Black Waterproof Mascara. Whatever mascara you choose to use, be sure to swap it out for a fresh tube every three months . . . and never, ever pump your brush inside the tube . . . if you do, the volumizing product in the mascara will only add volume to your brush and not you lashes. The last part of your complete eye look is your eyebrow. It’s commonly forgotten, and sometimes completely out of control. It is however a very important part of your eye, which make it important to the look of your eye! Picture a widow in your house. A nice big picture window with the sun shining through and a beautiful view outside. Now look at the surrounding of that window. Are there curtains? In most cases, yes. Your eyebrows are the “curtains” for your eyes. They complete the look. Imagine what you would look like with no eyebrows at all . . . or what black eyebrows would look like on a blonde person. Neither would look right. Which is why it’s important to pay attention to your eyebrows. Twease them, wax them, have them threaded by a professional. Whatever you choose, just make sure you don’t forget about them! To complete your look when you are all made up and ready to go out . . . your eyebrows need done too. I like to keep my eyebrows a shade or two darker than my hair. My hair is naturally dark, so I want to stay true to that in my eyebrows as well. You can use an eyebrow pencil or an eyeshadow. I personally use Mary Kay’s Mineral Eyeshadow in the shade of Driftwood (seen below on the right). The last thing to remember about applying your makeup is the tools you use are just as important as the colors you choose! AND you MUST take care of your tools in order for them to perform at their peak!! You should clean your brushes daily, and deep clean them once a week. This prevents any left over color from mixing into your current look and also help to prevent the spread of any bacteria that could cause acne issues or something worse! No matter what look you choose or what products you use for your Senior Portraits, my ALL TIME FAVORITE product comes in when it’s time to take your make up off! It doesn’t matter if you wear cream eye-shadow or mineral, regular mascara or waterproof. The Oil-Free Eye Makeup Remover will take it all of easily!! The two formulas work together to remove everything!!! The top phase removes waterproof eye makeup and the bottom phase removes non-waterproof eye makeup. Just shake it up and apply to a cotton ball . . . and say good-bye to your eye makeup! Here’s a fun little video to show you some Do’s and Don’ts with your overall make up. Keep in mind that makeup is fun to play with and you will not be perfect at applying it your first time. Keep trying! We all make mistakes along the way . . . that’s how we learn! Have fun with it! I hope this has helped you learn a little bit more about how to apply your makeup, what will look best on your for your photos, and a little be more about what Mary Kay has to offer in their product line! I do offer a free Mary Kay Facial and Glamour Session for all my Senior girls prior to their Portrait Session. If that is something that interests you, or if you would just like to hear more about a photo session or the Mary Kay products, please feel free to contact me. If nothing else sticks with you from this blog post, please, please, PLEASE remember this. You are beautiful and unique just the way you are. Always be true to who you are . . . and Be Uniquely You! If you like what I’ve shared be sure share it out to your friends, and don’t forget to follow me. This is just the first in the little series of Make Up Tips!